Automatically generate XML Sitemaps in an efficient way. Let your web store communicate with the search engines quickly and properly. Your web store has a complex structure? Difficult to navigate? Help Google to index your content correctly and quickly. Google has specific rules for sitemap generation. It is useful to have your XML sitemaps built automatically with a help of Magento 2 xml sitemap extension in order to meet all the requirements. Faster indexing of new pages shortens the time your new products appear in Google. You have a web store full of highly-demanded goods and their descriptions are great as well. You did a great job to satisfy your customers. But dealing with SEO, apart from visitors, you have to care about search engine crawlers. XML sitemap extension will help you to introduce your web store to Google in the most appropriate way. Search engine crawlers need their guide to scan your website. They use a sitemap, which contains all the necessary group of links. Robots take it as a basis when indexing the pages. With Magento 2 Sitemap extension, search engine crawlers are going to find new pages faster and more efficiently. Let your web store be the original source of your content. Magento 2 Google® sitemap extension offers an easy way to include any images in your sitemap. Included images may bring you more traffic when Google indexes them. When you want to translate your website (fully or only some templates) to properly present it to the different regional groups, you need to take SEO into consideration. Hreflang tag feature will help you to point Google what is relevant content to a particular audience and display it in the search results. Relate various pages based on UUIDs, URL Keys, or IDs. To meet all Google's requirements, it is possible to set the maximal quantity of items per sitemap's file. You can also specify the maximal file size in Kb: when it is exceeded, there is a specific index file created. For SEO purposes, you may want to exclude some of the links from your sitemaps. You can input URLs to exclude in the general configuration or specifically input URL keys in CMS pages settings. Use a handy grid with all the sitemaps. Easily generate, duplicate, edit, and delete sitemaps on one page. With the grid, you can have a clear vision of the sitemap's parameters, such as selected stores, path, URL, and the time it was generated. There are detailed settings, concerning the priority and frequency. You can set the values specifically for each group of links: Products, Categories, CMS pages, and Extra links. The more appropriate settings you have, the more reliability and trust to your site from Google. Manage all existing cron tasks on a Cron Tasks List grid from admin panel. Run cron tasks and generate their schedule by clicking the ‘Run Cron’ button. Delete tasks in bulk, use filtering and sorting options when it is needed. The functionality of the extension allows you to easily add the Navigation pages, Custom and Brands pages, Landing pages, as well as Blog pages to the XML Sitemap. I have installed the XML Sitemap extension on my site. It works like described. I have contacted the support team with some questions. They have replied the same day and helped to configure the module properly. Recommended! This is a must have extension for indexing the store pages much faster. Google guidelines are followed and respected. The support team is awesome. They answered all my questions. Recommended! Very good company. 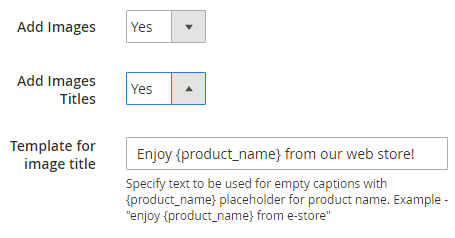 Though Magento 2 has a default xml sitemap, I needed more options and flexibility. This extension helped me to achieve what I needed. I had some problems with multiple sitemaps (my site is really big, so I needed a sitemap index) but Amasty support helped me with it (thanks Max!). Thanks Amasty for this tool! A month ago we decided to do something with our Google position, so we started a serious work on our SEO. In combination with this extension, we have increased our organic traffic and the revenue. And what is more pleasant - we hadn't any problems with the extension integration. Well done!